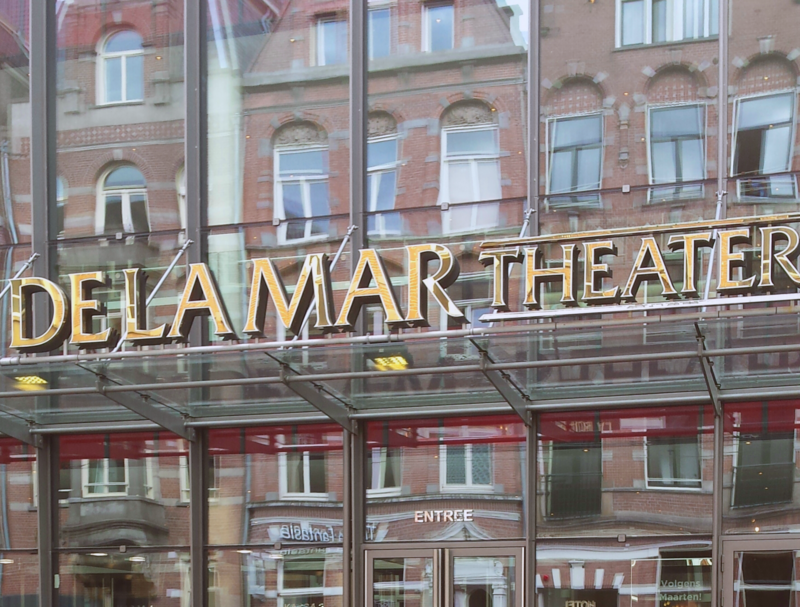 Soon after the VandenEnde Foundation acquired the theatre in 2001, the dream was to renovate the building in line with its history and its present-day use. 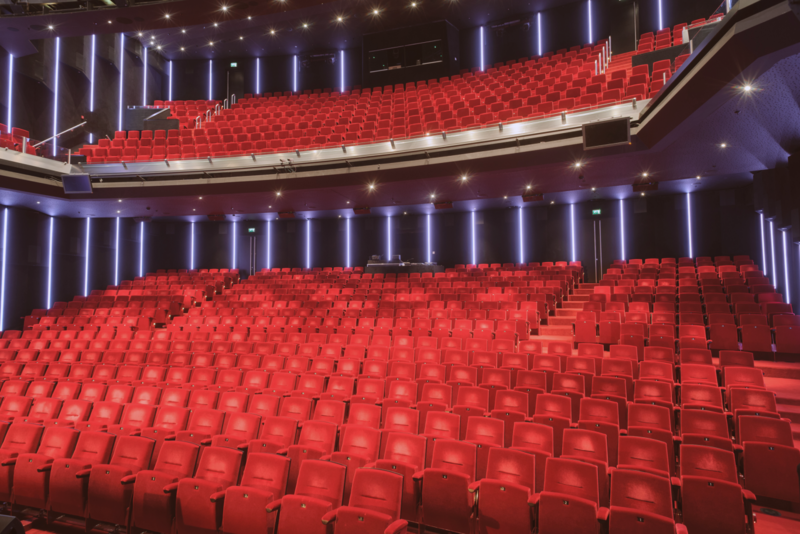 The new theatre would have to reflect the diversity of its productions (cabaret, musicals, family theatre and international performances) and also accommodate free and subsidised productions for a wide public. 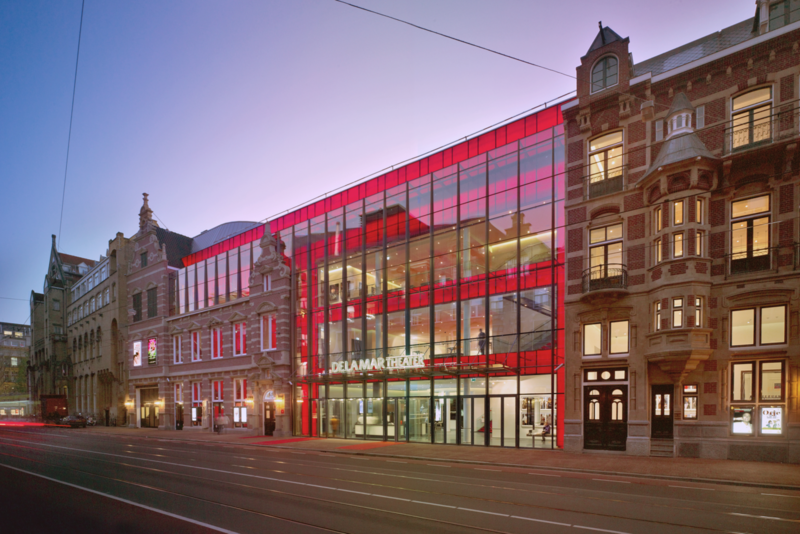 The location is very attractive; it is situated on one of the most dynamic cultural centres in the Netherlands with the Stadsschouwburg, the Theater Bellevue, the Melkweg, Paradiso and De Balie all in close proximity. The interaction with the nearby Leidseplein is also very important. 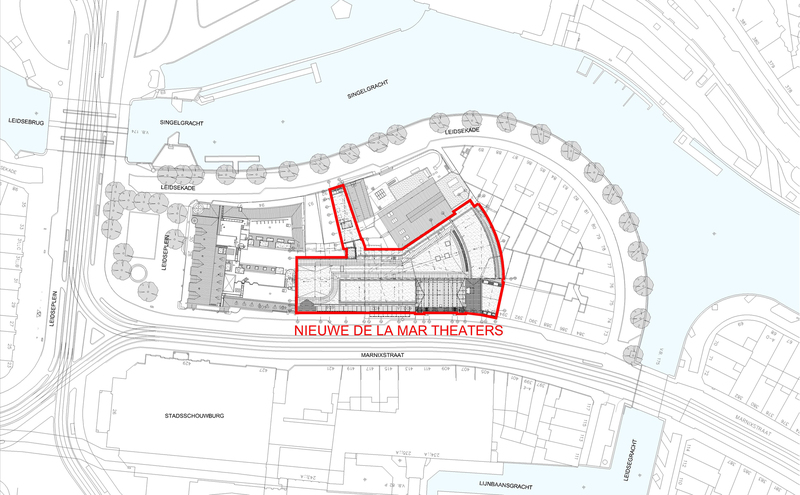 The demolition of the cinemas created an open area on the Marnixstraat. 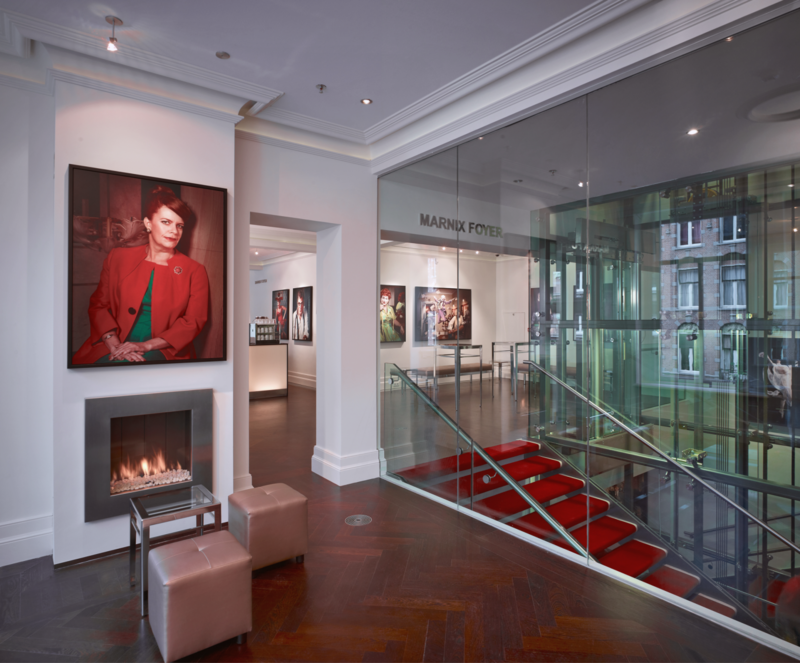 JCAU supplied an elegant solution: the façades of the adjacent buildings were returned into their original state and merged together with the new glass façade that follows the original building line. 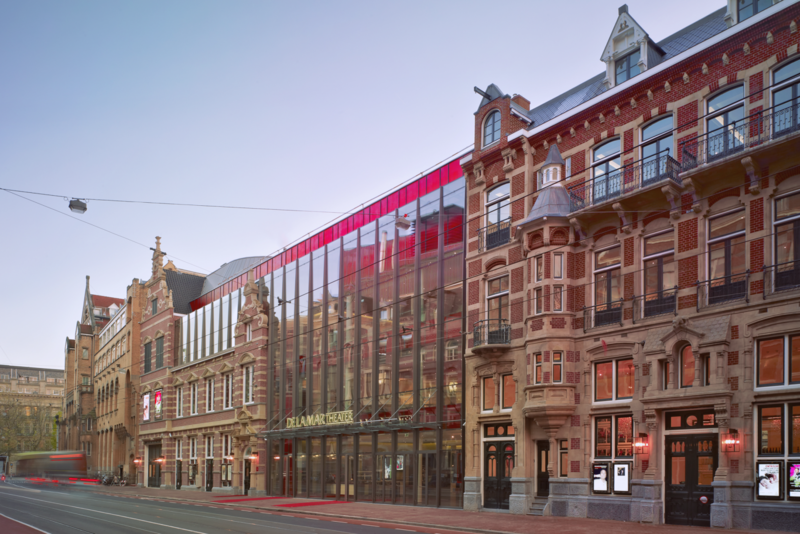 The transparent glass frontage provides a perfect building line at street level and also provides direct communication with the Leidseplein on the corner. In contrast, the actual façade has been set back by approximately 2 metres and finished with a special red texture. This creates a surprising tension between the two façades that is used effectively both in structural and functional terms. The otherwise flat glass façade acquires an appropriate plasticity that catches the eye, particularly in the evening. This makes the theatre stand out, especially in its opening hours.